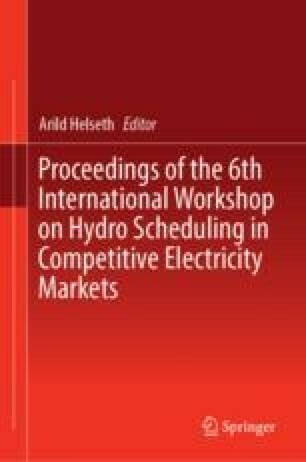 This paper presents a novel method to treat a chance constrained formulation of the hydropower reservoir management problem. An advantage of this methodology is that it is easily understandable by the decision makers. However, when using explicit optimization methods, the optimal operating policy requires to be simulated over multiple scenarios to validate the feasibility of the constraints. A blackbox optimization framework is used to determine the parameters of the chance constraints, embedding the chance constrained optimization problem and the simulation as the blackbox. Numerical results are conducted on the Kemano hydropower system in Canada.